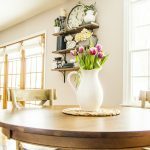 I wish I had the time, energy, and creative vision to create a beautiful centerpiece for my dining room table for each season. We don’t use our dining room very often, though (big family dinners are usually hosted elsewhere, and we don’t do much entertaining these days with two small children running around), so I hate to spend a lot of time and money on a big elaborate centerpiece that will only get seen by a few people. 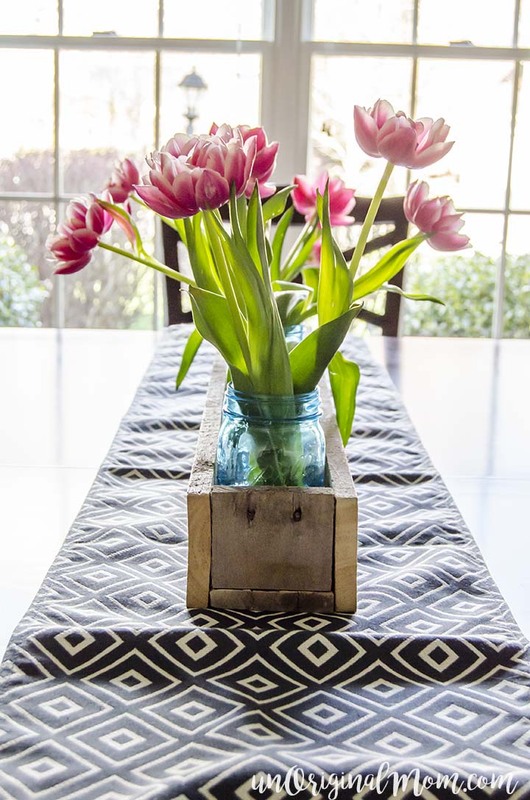 But let’s be honest, I like pretty things…and on the rare occasions when we DO have people over to our house, I like having some kind of decor on the table. 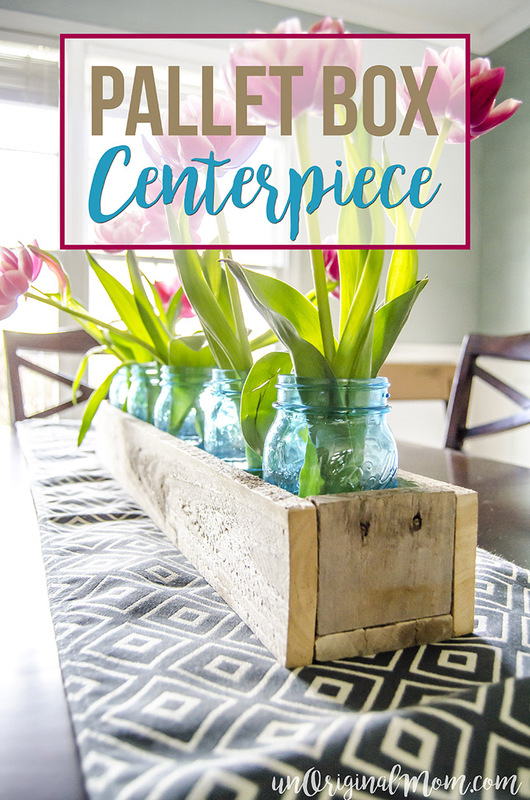 So when I came across an idea for a rustic wood pallet box centerpiece on Pinterest eons ago, I knew I wanted one for our table! We wanted a long skinny box, so we took 3 pieces of pallet wood that were the same width and cut them to the exact same length to be the two long sides and the bottom. Then we cut two little pieces to be the ends – the same width as the other pieces, but here’s where it gets a bit tricky…the height of the end piece actually ends up being the width of the long skinny boards minus the thickness of the bottom piece. You can see in the photo below how the end goes together. Clear as mud? 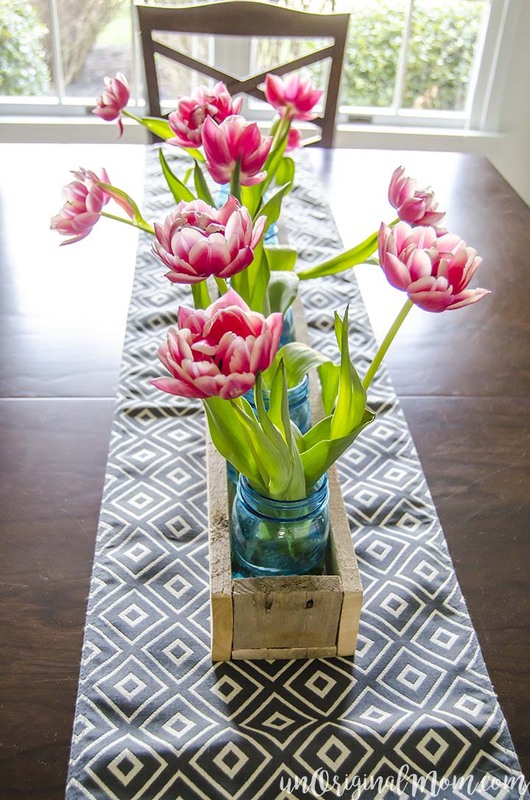 This wood pallet box centerpiece is so versatile! 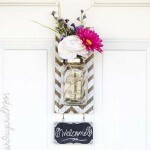 I found a ton of ideas and inspiration in this post from Far Above Rubies. 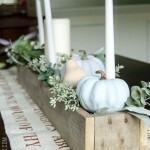 For Thanksgiving, I filled it with cedar branches, candles and mini gourds. Then for Christmastime I swapped out the gourds for glass ball ornaments. 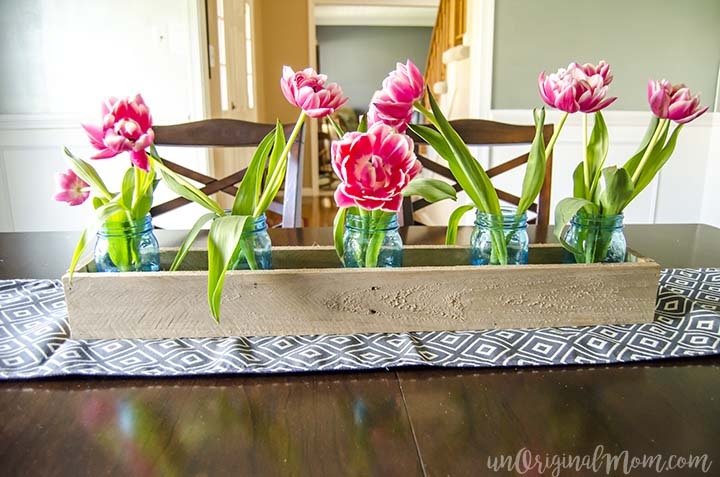 I love the simplicity of this spring arrangement, though – the aqua mason jars are so pretty, and I can fill them with any kind of flower I want! 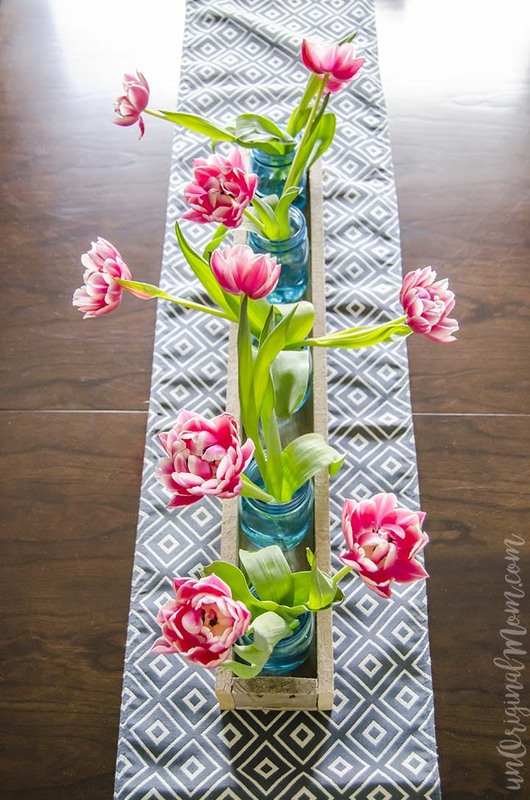 I love the pink and aqua combination of these tulips, but I think after the tulips are done I might try some hydrangeas. 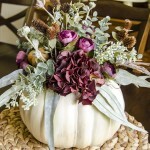 The best part about this centerpiece box, besides it’s versatility, is it’s price. Free! 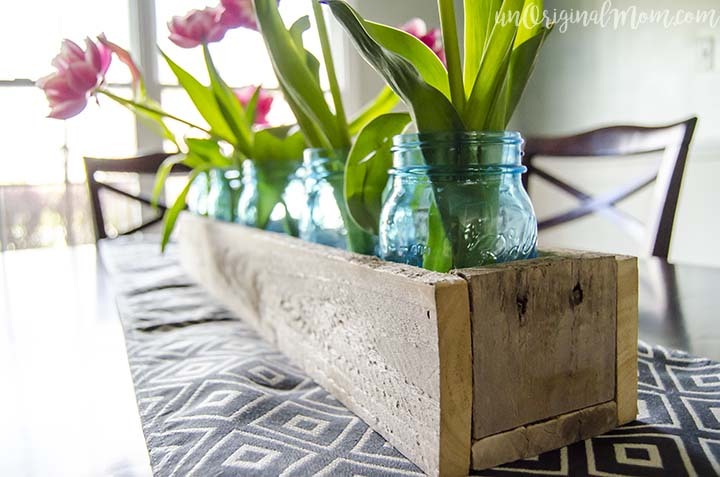 That’s why I loooove pallet projects so much. 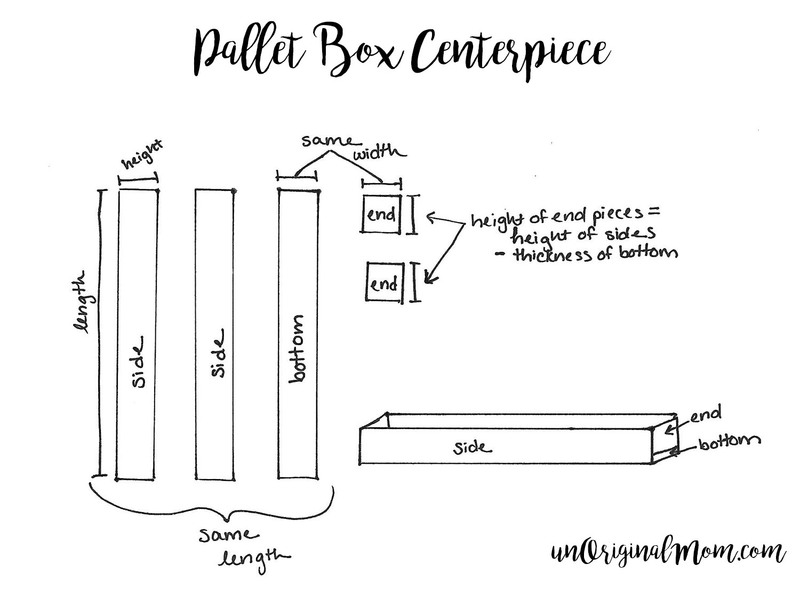 But if you’re not up for this DIY, there are lots of these types of boxes for sale on Etsy, too! 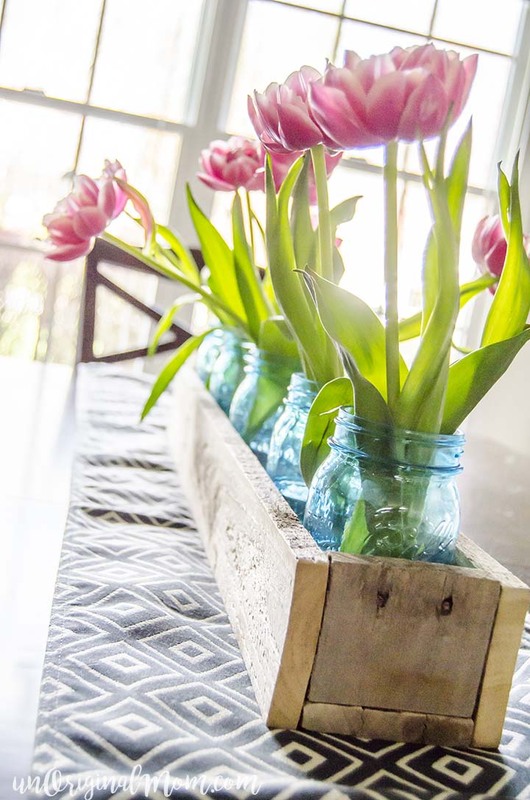 Do you create centerpieces for your table? I’d love to hear what you do with yours! I love this! I’ve been wanting to make one as well. Thanks for sharing at Work it Wednesday!